From Turkey to New York City, Mahmut has long since had a knack for information technology. Growing up in Istanbul, Mahmut credits a variety of situations that helped him follow technology into what is now his career. Every day after school during his childhood, Mahmut would help his father with his work in carpentry. This hands-on approach to problems is what fostered his work ethic and character. Throughout his upbringing, and whenever he had some extra free time, Mahmut was happy with his own tech hobbies. He tinkered with electronics, mostly computers, by taking them apart and putting them back together again. After a childhood with interests in technology, Mahmut decided to pursue a degree in electronic engineering from Istanbul University. After completing college, he decided to stay in Istanbul and run his own business for four years, catering to a creative IT perspective of networking and website design. In 2001, Mahmut moved to the U.S. to be with his wife, Yonca, and began working with an IT company that he was with until 2004. Beginning in January 2005, Mahmut joined the team at Tabush. 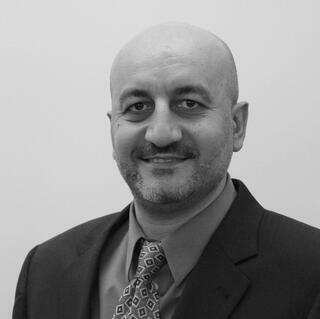 As CTO, Mahmut manages implementations within our data centers and keeps Tabush’s systems up and running. When he's not working, Mahmut’s hobbies include playing the guitar and dabbling in photography - he even has an at-home photography studio! He also enjoys spending time with his wife and two young sons at parks near their home in New Jersey.